Everything, Everything | my heart is happiest when i travel. read. write. connect. I am so happy to read this! Hooray for small improvements. I hope each day you notice a slight improvement from here on in. It is such a great feeling when you finish a book in a day, isn’t it? Thanks Shags! I hope so, too! 🙂 And yes, a book in a day is so great!! Happy to hear that you are on the mend and enjoying a good book too. Take care and don’t over do. There is nothing better than getting immersed in a good book. I’ve heard great things about that book. Sounds like your foot is going to get better – day by day, a little bit at time. Sending you good vibes for a speedier recovery! I loved this book! I think I read it in just two or three days, which is fast for me! 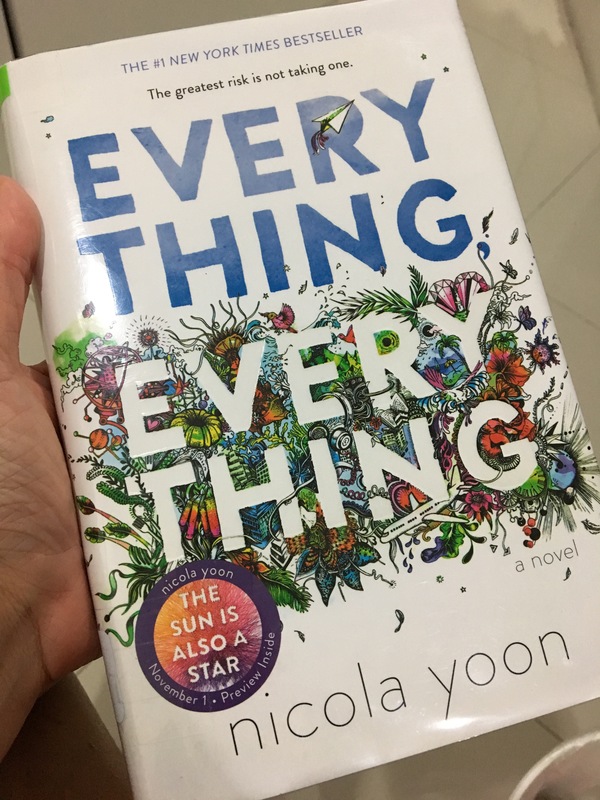 Good luck on the recovery, and check out Nicola Yoon’s latest book, The Sun is Also a Star. It’s wonderful! I’m glad you are feeling less pain. It will be such a treat when you are on two feet again. Those crutches are the biggest pain. At least you’ve been building upper body strength. 🙂 Thanks for the recommendation on the book. Not wanting to stop reading: that’s the best feeling! !